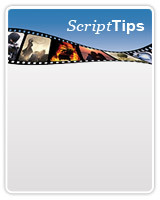 Sign up for our free monthly ezine featuring articles and screenwriting tips. For your convenience please find below a number of Film Festival and Screenwriting Competitions for you to consider. HSX does not endorse any specific script writing competition or film festival and has listed them for information purposes only. Please do your research to determine which competition best suits your screenplay. The Los Angeles Film Festival presents "Coffee Talks" with a panel of screenwriters and holds a 7-week Screenwriters Lab. The Slamdance Film Festival holds an annual screenplay competition and then puts on a staged reading of the winning script during the festival held each January. The organizers of the Nantucket Film Festival describe it as "a screenwriter's festival presenting features, short films, documentaries, staged readings and panel discussions." Writers are encouraged to present their films and works-in-progress and get feedback from other writers and filmmakers. The The Ohio Independent Film Festival presents a year-round screenplay reading program called Script Mill. In addition, the winner of the Ohio Independent Screenplay Awards will be read at the fest. The Breckenridge Festival of Film gives awards to screenplays in each of four categories: Adult Drama, Comedy, Action-Adventure and Children-Family. The Great Lakes Film Festival has a scriptwriting competition for screenplays, stage plays, and teleplays. Prizes for the winning script include $500, 2 complete passes to and accomodations at the festival. The motto of the Hollywood Film Festival is: "Bridging the gap between Hollywood and emerging independent filmmakers and storytellers." Toward that end, it presents Discovery Programs and Awards. Film Fest New Haven hosts the not-for-profit New Century Writer Awards which is open to writers of all nationalities, backgrounds and countries. Works accepted in two categories. Category I includes screenplays and stage plays. Category II includes short stories and novel exerpts. The top three prizes are cash awards for both categories I and II. Top fiction winners are also considered for publication in Francis Ford Coppola's Zoetrope All Story literary magazine. One screenplay or stage play is selected from each year's competition to be presented as a stage screenplay reading during the film festival weekend. The Nantucket Film Festival (see above) gives the Tony Cox Award for screenwriting, sponsored by ShowTime Networks, Inc. The winner receives a cash prize and a first-look option from ShowTime. The Ohio Independent Film Festival awards for Best Screenplay and Best Northcoast Screenplay. The Santa Monica International Film Festival has included a screenwriting competition as part of its Moxie! Awards. Urban World Film Festival holds a screenplay competition with the 5 finalists presenting staged readings at Tribeca during the festival. The Hollywood Film Festival has a market for works-in-progress. Worldfest Houston has an entry category for unproduced screenplays. © 2017 Nuvotech Limited. All Rights Reserved.